We’ve a load of office products in this stationery collection. 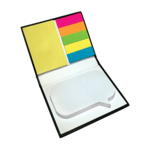 Select the right promotional stationery and your promotion will be an instant hit. The key is to match the right desktop item to your promotion. 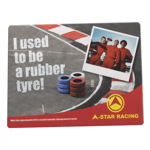 We have an extensive collection with custom products available on request. For large quantity orders we can provide custom products to your exact specification. 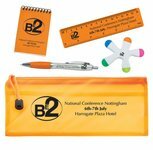 Call us today to find out how branded stationery products can help to promote your organisation or business and keep your organisation’s logo in front of your clients. Sample products are available on request. 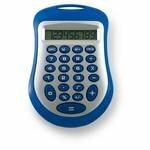 We can let you know which of our best selling items will meet your budget and quantity requirements. Stationary is part of everyday life no matter your age or what you do. As a successful marketing giveaway it must first and foremost be useful to the receiver. No matter how far technology seems to be progressing in today’s society, a pen will and has always been a day to day necessity. It isn’t so easy to make those important notes on a laptop every time you brainstorm an idea, need to note down a telephone number or your to-do-list. Pens understandably stand the test of time, so a promotional giveaway that is inexpensive, that lasts and that everyone will always appreciate, a promotional pen is your answer. In all marketing campaigns, the sole purpose is to get your brand name seen and heard. When we compare marketing means such as the radio, television and the newspaper, we always out way the potential of how many people will hear about us, far and wide. It’s what it is all about right? If your company name or logo is on a pen then there is a possibility for several people each day to see it. Repetition and sensory bombardment helps place your company name in the minds of the people who use the pen. By simply giving a personalised pen as a promotional gift you are making it possible for many people to benefit from the gift and begin to recognise your brand, all at a fraction of the cost. A key fob is for keeps. 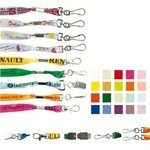 To maximise your brand reach you need to choose an item that is always in front of the receiver which is exactly why a key ring is a great pick. Anytime that a recipient uses their keys during the day for auto, home, or work activities, this person will acknowledge the important advertising message that is imprinted onto a colourful key fob and key chain. Trolley-coin key rings always come in handy at the supermarket when you cannot find that one pound we always hope is lying around. Whilst confectionery can be weighed up as a marketing gift that is gone in seconds, key rings are round for the long hall, maximising brand coverage all year round. The potential of how widespread your brand can be seen is endless. Key rings are functional in every way. They are not just used for holding keys. They can also be used as bottle and can openers, emergency torches, letter openers, and many other uses depending on your choice of promo key fobdesign. With technology far surpassing most, the digital print option is wider than ever before. Create artwork that is going to stand out from the rest, with vivid colours and intricate detail, your brand will wow all. Stationery has to be functional but it can also say a lot about your business in a creative and colourful way. Do you do notebook sets? 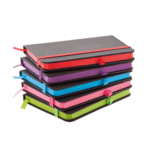 We can offer notebooks with pens attached to the side, usually with a pen loop. 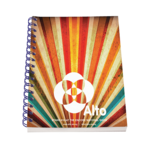 Branding options vary with options for a plain or branded pen attached to a branded notebook however this depends on your selection. The sets are very useful and cost-effective if your looking to send out gifts to clients as you will have two products instead of one. What options are available for printing onto paper pads? When it comes to paper pads our printers can apply our artwork to various parts of the a paper pad or block. You can opt for a solid imprint on the front cover and sides of the pads or blocks with a watermark imprint on subsequent pages. The choice of print positions and options is pad dependent. Most clients opt for a cover print with a smaller logo or watermark print on the inside pages. 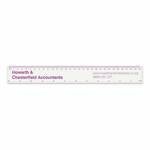 General calendars have an imprint area for a client logo and contact details. When looking at potential photos for a calendar this will be the ‘white space’ left for the printer to apply your artwork. 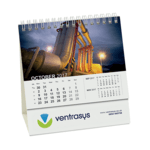 Digitally printed calendars can be printed with your name or message appearing as part of the photograph itself. Imagine a firework burst in a photograph with your company name within it.